The most iconic image in the acclaimed HBO series Game of Thrones is, of course, the titular Iron Throne itself. It is located in the Red Keep in the city of King’s Landing. When they say, “Win or die,” this is what they are talking about. When King Aegon the Conqueror forged it, the swords of all the hundreds of lords who surrendered to him and offered him fealty were melted down into a throne of imposing size and appearance. 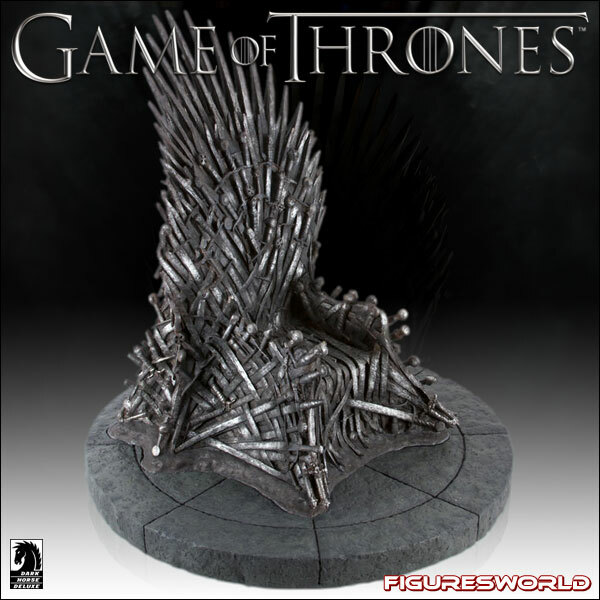 Dark Horse Deluxe, working with HBO Licensing and the talented artisans at Gentle Giant Studios, have replicated the throne prop from the series. Not a single sword has been overlooked, in either sculpture or paint application.